Welcome to our website www.mediterraneancosmos.gr (hereinafter «Website»). This Website has been developed by the company with the tradename « PYLAIA S.A. » (hereinafter «PYLAIA. » or «Company»), for the provision of information and services to the users/visitors (hereinafter “Users”) of the Website. The Company is Data Controller of your personal data, collected through the Website, pursuant to EU General Data Protection Regulation 679/2016 (hereinafter “GDPR”). This Privacy Statement is provided in order to inform you on the personal data collected, to explain the way and purpose of data processing, to state any third parties with whom we share your data and finally to inform you on your rights. Personal data is any information related to an identified or identifiable natural person. The only personal data collected through the Website is your email. For what purposes do we process personal data? Please note that in case you are 15 years old or below this age, the consent shall be provided or approved by the person who has your parental responsibility. Finally, the Company has the legitimate interest to process your personal data in order to reply to your queries or comments and to assess your candidacy for a job vacancy. To the extent required in the context of the purposes referred herein, our Company might transfer your data to third parties, such as malls management companies, marketing service providers and IT services providers such as “Eirini Tsakiridou”. In this case, the Company implements all required measures so that these parties will be bound by confidentiality clauses and the obligations regarding personal data processing. How does the Company protect your personal data? Our Company has implemented all appropriate organizational and technical measures, pursuant to applicable legal framework and standards in order to safeguard that processing of data, either by the Company or by any third party is legitimate, appropriate and secured against any non-authorized or illegal access, deletion, amendment or any other use of the data. Your personal data is retained for as long as it is required for the fulfillment of the purpose of processing. Upon expiration of this term, your personal data will be deleted unless otherwise required under applicable legal and regulatory framework or for the establishment, exercise or defense of legal claims. According to applicable legislation, you have the following rights, i.e. a) right of access to your personal data, as well as to the information relating to their processing, b) right to rectification of inaccurate or incomplete personal data, c) right to erasure, d) right to restriction of the processing of your personal data, where explicitly provided for by legislation, e) right to data portability in a structured, commonly used and machine-readable format (e.g. CD-ROM), f) right to have your data (directly) transmitted to another controller, g) right to object to the processing of your personal data, where explicitly provided for by legislation h) right not to be subject to a decision based solely on the automated processing and to request human intervention in such case, as well as i) right to withdraw any consent given at any time. You may exercise the aforementioned rights by submitting a request to our Company and we will reply within one (1) month upon receipt of the request. This deadline might be extended for two (2) additional months, in case your requests are excessive or complicated. Additionally, the Company shall inform you without any delay on any breach of your personal data, unless such breach falls within one of the exceptions, provided by law. In any case, if you feel that the protection of your personal data is violated in any way whatsoever, you have the right to lodge a complaint with the Hellenic Data Protection Authority. What is the contact person for any issues/requests? For any queries, clarifications of requests with regards to your personal data protection, you may contact our email personaldata@lamdadev.com. In addition to the aforementioned, the Company might collect identification data for Website’s Users, by applying technologies, such as cookies and Internet Protocol (IP) monitoring mechanisms. User’s computer receives an IP address each time the User is connected to Internet. Through this address, User’s computer sends and receives data. In general, each time the User is connected to Internet, IP address is different. However, under conditions, (e.g. in broadband connections) User’s IP address becomes permanent. A permanent IP address might identify a User with a certain computer and therefore might process personal data. Web log information is non-personalized information collected by the computer hosting the Website each time a User visits the Website. Examples of types of information collected through IP address include date and time of website visit, the browser type and software type used. The Company or its authorized representatives make use of User’s IP address and web log information in order to collect aggregated information about the use of the Website and to improve its operation. Welcome to the website www.medcosmos.gr (hereinafter “the Website”). The website has been developed by the company “PYLAIA Société Anonyme for the development and exploitation of real estate, provision of services, trade and agency” (hereinafter “PYLAIA” or “the Company”) in order to provide information and services to its guests/users (hereinafter “Users”). The Users have access and make use of the Website exclusively for personal, informative and non-commercial purposes. By using this Website you agree to this terms and conditions (hereinafter “Terms”). By accepting the Terms, the User declares that he/she is at least eighteen (18) years old. If the User is less than eighteen (18) but more than thirteen (13) years old, he/she has the right to use the services of the Website only under the supervision of the parent or guardian, who accepts the Terms thereof. In any case, PYLAIA S.A. is not liable for this use. Please read carefully the Terms before you use the Website. PYLAIA S.A. holds the right to amend the Terms. The intellectual property rights on the content of the Website, including but not limited, all documents, archive, images, graphics, trademarks (commercial-services), components, the Website code and its general appearance, belong intellectually and industrially to PYLAIA S.A. or to the Group of Companies it belongs, unless otherwise provided by law, and they are protected by the relevant provisions of the Greek, European and International Law. The reproduction of the Website for commercial purposes, non personal use, conversion / copying / rental / lending / transmission and broadcasting without license is prohibited. The sale or distribution of Website material for non – profit purposes is prohibited. Products or services bearing third party marks, which are mentioned on the Website belong intellectually and industrially to these third parties and therefore third parties bear their own responsibility. The content of the Website is available to Users for personal use. For any clarification, please contact us at info@medcosmos.gr. The content of the Website is “as is”, and PYLAIA S.A. does not provide any warranty, express or implied, as to the completeness, correctness, timeliness, commerciality, non-infringement or suitability of this content for any use, application or purpose. PYLAIA S.A. under no circumstances, including negligence, is liable for any kind of damage the User has suffered from the webpages, services, choices and content of the Website, which he/she uses on his/her own initiative and to the knowledge of these Terms. In addition, PYLAIA S.A. does not guarantee that the webpages, services, options and contents will be provided without interruption or errors and that the errors will be corrected or that all the queries will be answered. Similarly, PYLAIA S.A. does not warrant that the Website or any other related website or servers through which the content is made available to the Users is provided without “viruses” or other harmful components. The cost of possible corrections or services is borne by the User and by no means by the Company. create, offer for sale, sell, lease or otherwise distribute and create derivatives of the Content and execute any method by incorporating the Content (including the subrogation of any of the above). Furthermore, the User acknowledges and guarantees to PYLAIA S.A. the right, title and / or power to grant such a right to PYLAIA S.A.. PYLAIA S.A. may choose not to publish the Content that the User sends or delivers electronically (upload). If PYLAIA S.A. chooses to publish the Content that the User sends or delivers electronically (upload), PYLAIA S.A. may, at its sole discretion, withdraw the published information for any reason and without prior notice. PYLAIA S.A. may use the information it collects and / or receives for the purpose of avoiding any illegal activity or activities which threaten its network or jeopardize the provision of the Website. The creation of a hyperlink to the Website is permissible, provided that a) it is not used to mislead the consumer or damage the reputation of PYLAIA S.A. or the group of companies to which it belongs, and b) it does not display the contents of the Website as part of another website other than the Website (such as framing techniques). In addition, the use of the logo of PYLAIA S.A., as it is presented on www.themallathens.gr, for the purpose of creating a hyperlink to this Website, without the express permission of PYLAIA S.A. is prohibited. The website www.themallathens.gr may contain advertisements of PYLAIA S.A. or third party companies, as well as display other material with promotional content and purpose. In the case of third party advertisements, PYLAIA S.A. does not have any control over the content of these ads and therefore does not bear responsibility towards users for the content of such advertisements with respect to any illegal acts or omissions, inaccuracies or inability to comply with the laws and regulations of any country or the European Union related to the content of these ads. This responsibility lies solely with advertisers, sponsors and / or creators of the displayed promotional material. The Terms and Conditions of the Website, as well as any modification or change thereof, is governed by national law, European law and the relevant international treaties. Any provision of the Terms found to be inconsistent with the above legal framework or rendered inoperative shall automatically cease to be effective and be removed from the Terms without undermining the validity of the other Terms. The Terms constitute the overall agreement between PYLAIA S.A. and the User of the webpages and services and shall only be binding on them. No modification of the Terms will be taken into account and will form part of this agreement, unless it is in writing and it has been incorporated into the present agreement. In the Terms thereof, it is expressly agreed that any dispute arising from the application of the Terms and the general use of the Website by the User, provided it is not resolved in a friendly manner, is governed by Greek law and is subject to the jurisdiction of the Courts of Athens.  LAMDA Development S.A., listed on the main market of the Athens Exchange, is a holding company specializing in the development, investment and management of real estate. The company is the leader in the Retail Real Estate sector in Greece with successful diversification in the office and residential sectors. The company’s development portfolio includes: three commercial and leisure centers, The Mall Athens and Golden Hall in Athens and Mediterranean Cosmos in Thessaloniki (total GLA 147.000 sq.m. ), office buildings, innovative residential complexes and Flisvos Marina in Faliro. In November 2014, LAMDA Development group signed the contract with HRADF for the acquisition of the shares of the “Hellinikon SA”. The Investment will transform the plot of the former Hellinikon Airport into the largest privately funded investment ever in Greece. The company has a top reputation as member of the Latsis Group and maintains strategic alliances with international players, such as Värde, Dogus, HSBC, Fosun, Eagle Hills.